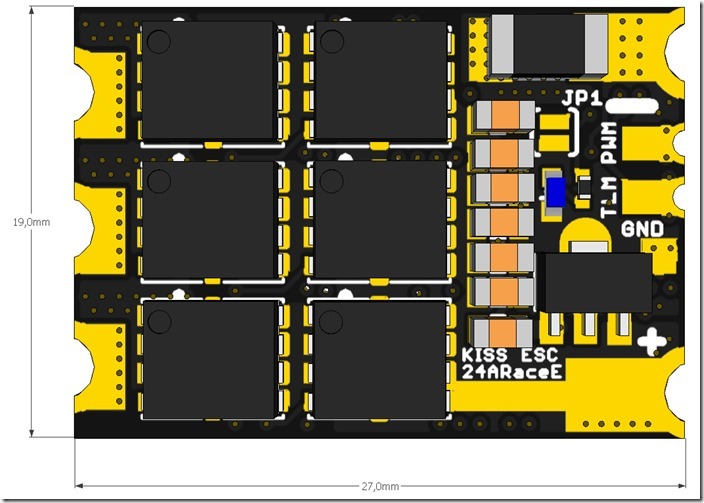 Flyduino recently announced his new KISS ESC 24A Race Edition. It’s the next generation of the Keep It Super Simple (KISS) Series ESCs. The ESC has some new great features, which in my opinion would drive the Multirotor Hobby in a good direction. The new KISS 24A will be a bit larger than the KISS 18A ESC, which size is 12x24mm. The MCU is not anymore by Atmel. Flyduino will release more information about the 32bit MCU when the ESCs is on the market. The FETs on the prototypes pictures are AON6512 and are rated for up to 150A. Like the KISS18A the new KISS 24A Race Edition use gate drivers for faster switching and not the combination of P-FETs and N-FETs. The ESC is capable of 2-5S LiPo battery, but on paper it should be not a problem using it with 6S LiPo. One of my favorite new features is the telemetry capability. You will be able to send the voltage, current, temperature and rpm data to your OSD. For safety reasons there are over-current and over-temperature protection. 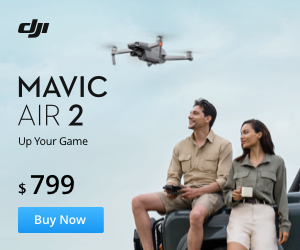 Don’t worry your copter will not fall out of the sky. Only the power will be reduced. Active freewheeling is nothing special. All KISS series ESC have it as well as the SimonK and BLHeli ESCs (damped light). If you haven’t heard about OneShot125: it is an alternative PWM signal from the ESC to the motors. Its 8 times faster than the standard PWM signal. Available on most SimonK, BLHeli and old KISS ESCs. The new OneShot42 is just 3 times faster than the OneShot125. There is still no information about the price, but the new KISS 24A Race ESC should be released soon on flyduino.net. For more information you can also check the official RCGroups thread. Update 15.12.2015: The KISS 24A ESC is now available at the flyduino shop for 22,90€. Read my full review of it.